At Power, Rogers & Smith, L.L.P., we know that consumers have a right to know whether a product is dangerous or made of hazardous material. This is why manufacturers are required to place warning labels on their products and inform consumers of any possible dangers that could harm them. When the manufacturer fails to do this, they are negligent. Any individual who is injured as a result of this negligence may be able to take legal action against the manufacturer. 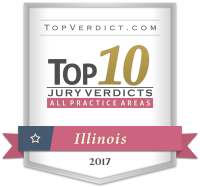 Our Chicago failure to warn lawyers know how to handle these cases with extensive experience and a dedication to the most favorable outcome possible. We work hard to show that the manufacturer was aware of the hazard yet still released the product to the public without adding proper warning labels. If we find that the manufacturer acted in negligence, we build a case designed on your specific needs to help you seek compensation for any damages sustained. Call us at (312) 313-0202 for your free consultation. When a product is dangerous and there are no warning labels, serious injury can occur. This is because the consumer may not recognize the danger and uses the product in a manner which causes harm. These actions can vary and affect both adults and children. No matter the situation, if a manufacturer failed to warn consumers of an inherent danger and you sustain an injury as a result, you may be eligible for compensation. By filing a product liability claim, you may be able to seek money for damages related to the injury, including hospital expenses, rehabilitation costs, lost wages, future income, and more. You shouldn’t have to experience financial, emotional, or physical hardships as a result of a manufacturing company’s negligence, especially if their mistakes have caused serious pain and suffering. You may even be able to recover compensation to help with vocational training should your injury prevent you from returning to your same job. At Power, Rogers & Smith, L.L.P., we have been representing injured victims in Chicago for decades. With over two decades of experience, we have achieved multiple successes and victories. In fact, we have helped recover more than $4 billion on behalf of our clients. Our Chicago product liability attorneys are completely dedicated to holding negligent manufacturers accountable when their products or failure to warn cause harm. Whether we handle your case through trial or in negotiations, the priority remains the same: help you receive the maximum compensation available in your case. Contact Power, Rogers & Smith, L.L.P. today at (312) 313-0202.